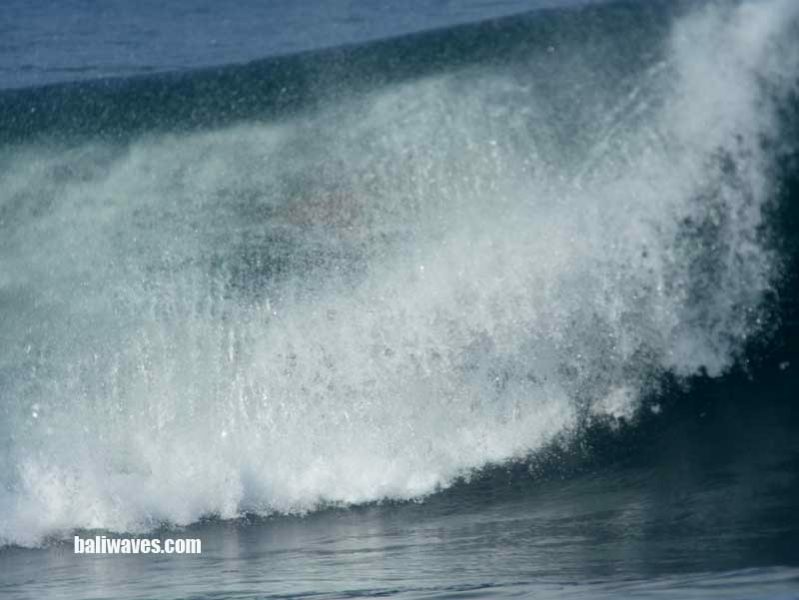 Hey there and welcome back to your baliwaves (keeping you in the loop with Bali’s surfing scene since back in 1999) for our latest news and best possible views on surfing and weather conditions here on the island of the Gods, and the No.1 tropical surfing holiday destination and gateway to Indonesia’s surfing paradise, Bali. Ok lets just keep the photos flowing and fresh. This mornings surf check on the Outer Reefs had wave height in the 2-4ft+ range between Kuta Reef and Airports with a light NE wind. The tide was just starting to run down at the time and there were also plenty of surfers buzzing around the car park. 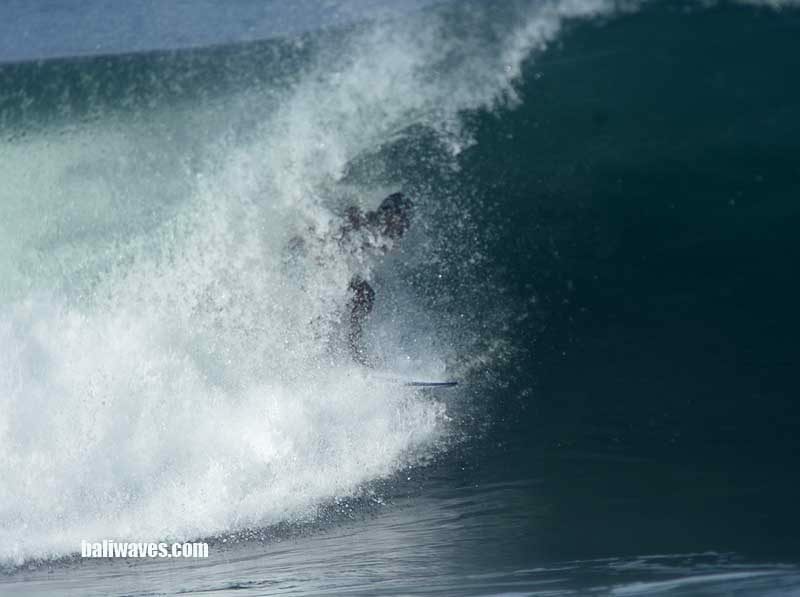 But as it shows in today’s photo gallery I had our Team take a run up to Canggu to see what was going down. Knowing that with a bit of swell on it up there it would be sorting em out with some bone crunchers on the Sandbar section. Probably just a little too much swell bending into Canggu for the Sandbar but by the look of these photos I’d have to say that there were indeed a few “hall of fame” barrels rode this morning while the wind was still light and variable. Our opening sequence features “The Zombie Killer” (Putu Arya Corox) riding a NATIVE surfboard from the good folks at Boardriders Surf Shop Echo Beach in Canggu. So if you want to surf like this guy get into Boardriders now for their Easter Sale and score a deal of a lifetime. Weather wise today it’s been mixed up that’s for sure. It wasn’t a bad looking morning after some heavy over night rain. Then the clouds started rolling in out of the SE and there’s a big chance of some rain, especially down on the Southern “Bukit” end of the island. Currently the temperature is on 29 degree’s Celsius. Wind direction is hard to pin point and still switching around, a little while ago it was out of the WSW. Tomorrows Surf Forecast is showing wave height to back off a little more and still coming out of the SSW. We should also see the wind a little stronger out of the ENE – E as the day goes on. Long Range Surf Forecast, Our next swell should be of moderate size and smack into Bali around the 17th, peaking on the 18th and then tapering off until another slightly bigger swell rolls in on the 21st. Both of these two swells have a fair bit of Southerly direction involved. The whole Indian Ocean is lit up and I can also see more systems in transit to us behind these ones. NB: if your in the market for a new board, fins, leashes or just about anything to do with surfing or cool stuff, head straight to the BOARDRIDERS mega SURF SHOP for their CRAZY EASTER SALE (on right now) located 20mtrs back from Echo Beach at Canggu. Ask for Dicky he’s been known to do some crazy deals on new and used boards.